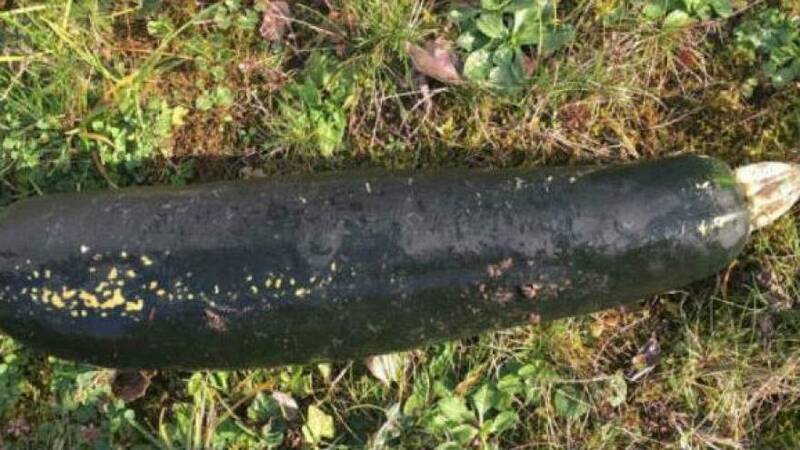 A man in Germany discovered what he thought was un exploded World War Two bomb in his garden – only to find out it was a massive courgette. The man called the police who identified the object as a 5kg vegetable which was probably thrown over a fence into the 81 year-old’s garden. Officers said the 40cm courgette “really did look like a bomb”. Luckily no evacuation was declared in the town of Bretten in south-west Germany. The man threw out the courgette himself once police reassured him. Many unexploded bombs have been unearthed in Germany, usually during building work. Authorities are often forced to evacuate the surrounding area while they defuse the bombs. In September around 60,000 had to leave their homes in Frankfurt after a wartime bomb was discovered. It was Germany’s biggest evacuation since World War Two. Bavarian Boogie Ban: Why is there a dancing ban on Good Friday?